Get all of the need to know Shelby GT500 specs for your Mustang and learn about the history of the Shelby Mustang! The Shelby name is a staple in the auto community, most notably known for their high performance Mustangs. 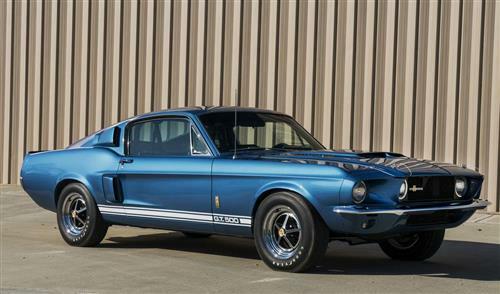 Shelby American built the first Shelby Mustang in 1965 with the famous GT350 and introduced the GT500 in 1967. 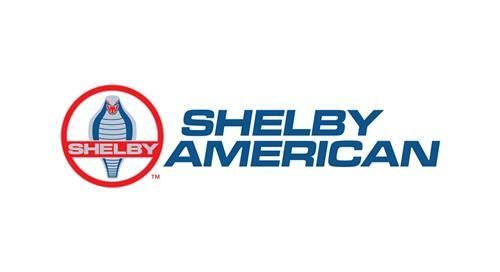 From 1965-1968, all Shelbys were built by Shelby American and all 1969-present Shelbys were built and designed by Ford. 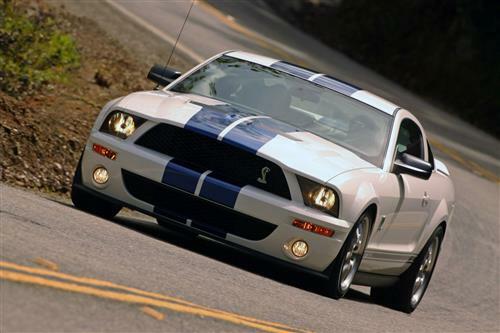 After halting production after 1970, Ford reintroduced the Shelby Mustang in 2005 and they are still built to this day! In 1967, Shelby American built and released the first GT500 based on the 1967 Mustang fastback. This classic muscle car look was backed by a stout 428 cu in 7.0L V8 that put down 355 horsepower and 420 lb-ft of torque. 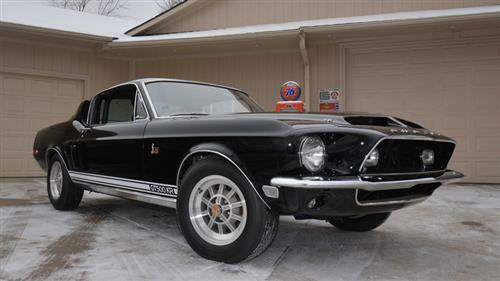 Weighing in at 3370lbs, this GT500 would run a 15 decond flat quarter mile at 95 mph. 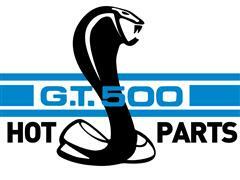 There were only 2,048 GT500s made in 1967 plus 1 notchback prototype and 1 convertible prototype. 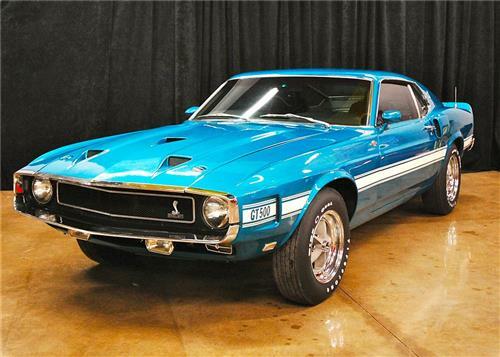 Nicknamed the "King Of The Road" the 1968 GT500 KR was the birth of the famous Cobra Jet. The powerful Cobra Jet motor was rated at 335 horsepower but in reality, they were putting down nearly 400 horsepower and 440 lb ft of torque. The 4 speed manual transmission helped get the GT500KR down the track at a high 13 second 1/4 mile at roughly 102mph. Entering 1969, Ford took over most of the development and manufacturing of the GT500. They gave the GT500 a whole new look which extended the body by 4 inches. The 1969-1970 GT500 was equipped with a 428 cu in 7.0L similar to their previous models. The 1969 models were given 1970 vehicle identification numbers under FBI supervision due to it being a non-legal act. The 1970s models did recieve a front chin spoiler and two black hood stripes. Only 789 were re-vin'd. After over 30 years without a Shelby GT500, Ford introduced the new 5.4L supercharged GT500 at the New York International Auto Show. The newly redesigned GT500 was built from the new S197 body style with some great exterior, interior, & suspension upgrades to compliment the new powerplant that gave the GT500 a destinctive look! The supercharged 5.4L motor put down an impressive 500hp at 6000 rpm and a pavement pounding 480 lb-ft of torque. 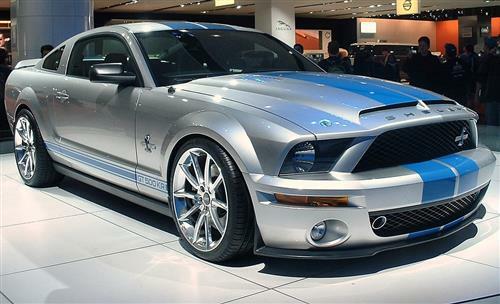 40 years after the original King Of The Road GT500 was released, Ford introduced the 2008 Shelby GT500KR as a tribute at the 2007 New York International Auto Show. The 5.4L 4 valve V8 put down an astounding 540 horsepower with a cold air intake and calibration. The new GT500KR was equipped with a carbon fiber composite hoos, functional scoops/vents, hood pins, carbon fiber splitter, carbon fiber mirror caps, & brake cooling ducts. The SVT tuned suspension gave the KR high performing, track inspired handling. 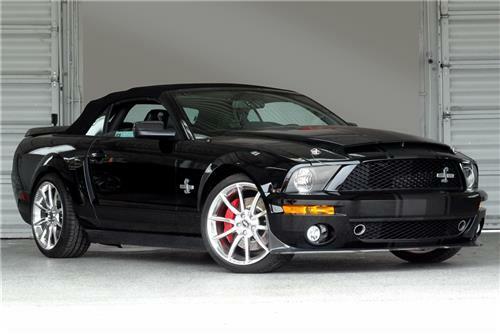 By dropping off your new 2007-2009 Shelby GT500 and a cool $27,995 at Shelby's Special Performance Plant, you can have yourself a Super Snake. 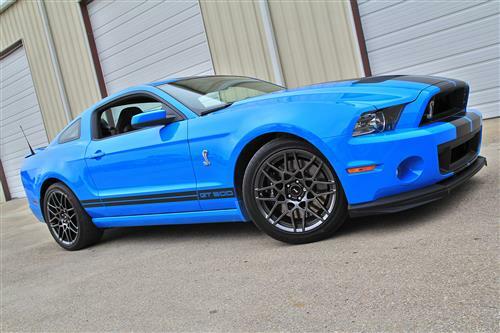 The Super Snake was a package installed by Shelby with a 605hp engine. For thrill seekers not worried by having a warranty can opt for a non-Ford specified supercharger that pushed the horsepower output to 725hp. Both versions had a laundry list of other modifications that made these cars stand apart from the factory GT500s. With the body change of 2010, came a new look for the GT500. 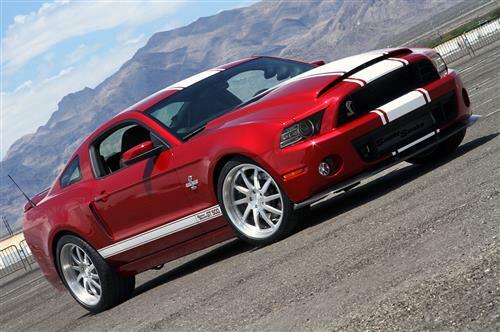 While the 2010-2012 GT500s looked similar, their power output changed between 2010 and 2011. 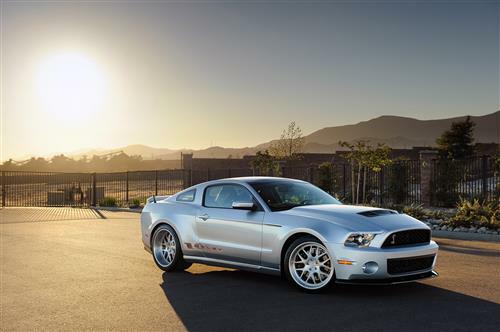 The 2010 GT500's 5.4L performance was rated in at 540 horsepower and 510 ft lbs of torque while the 2011-2012 jumped up to 550 horsepower and 510 ft lbs of torque. The 2011 5.4L engine consisted of an all-new aluminum block which dropped 102lbs over the previous cast iron engine. Shleby American once again knocked a home run with the 2011-2012 GT500 Super Snakes making anywhere from 660hp-750hp and 590tq thanks to Ford Racing and Kenne Bell superchargers. 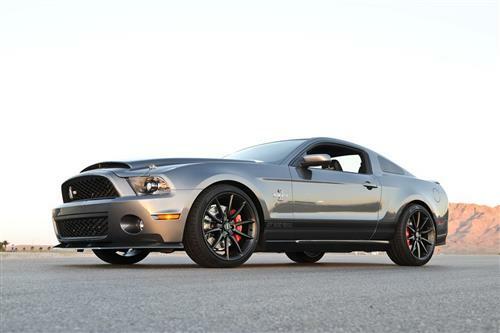 The Super Snake has got a long list of upgrades from exhaust to brakes to cosmetics and gears added to the base GT500. Shelby also made a 50th anniversary edition which were made in a black and gold scheme and only 50 were manufactured. 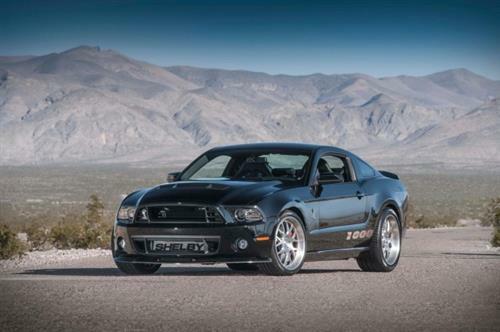 Perhaps one of the most powerful Mustangs ever built by Shelby American, the 2011 Shelby 1000 was a beast in it's own league. The street legal version of the 1000 put down 920 horsepower and the track version boasted an incredible 1100 horsepower. The Shelby 1000 also had a high performance 9" rear end to handle the powerful drivetrain. Following the design change trend from 2012-2013, the GT500 got a few upgrades both visual and performance oriented. The most popular upgrade was the new 5.8L "Trinity" DOHC supercharged 32v V8. A beefed up Tremec 6060 6 speed transmission helped relay the 662 hp and 631 ft-lb of torque to the rear wheels. 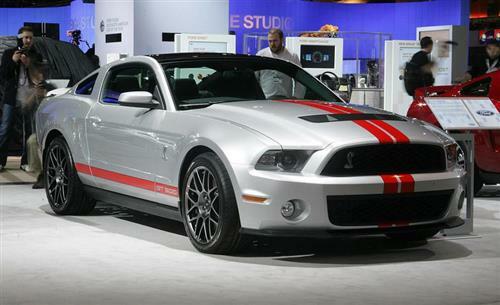 In 2012, Shelby American announced their new 2013 Shelby GT500 Super Snake which was offered in two supercharged options. One being a 662 hp version and the second being an 850 hp version. These Super Snakes were built off the same platform as the 2013-2014 GT500s with the addition of Super Snake upgrades. The Shelby 1000 returned in 2013 after being unveiled at the New York International Auto Show.The 1000 featured many high performance parts including a fuel system upgrade, Borla exhaust, forged pistons, ported heads, and titanium valve springs to hold the power the 3.6L Kenne Bell supercharger was putting out. 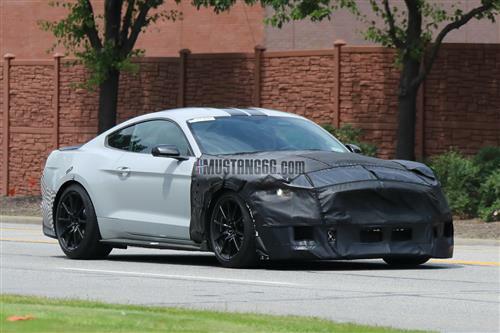 The new 2019 Shelby GT500 engine has been confirmed as a 5.2L crossplane engine with a supercharger. This combo has been confirmed to make over 700 horsepower and judging by Ford's easter eggs, we are going to guess it will be putting out about 755 horsepower.